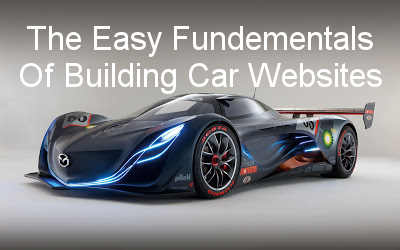 Under construction templates are rarely released for Blogger. I had some issues with my other blog template so I had to put up a under construction template, I was searching for hours to find a good template somehow after navigating many sites I found one that has everything I wanted. So I decided to share it. The template I am writing about has everything that a under construction template should have. 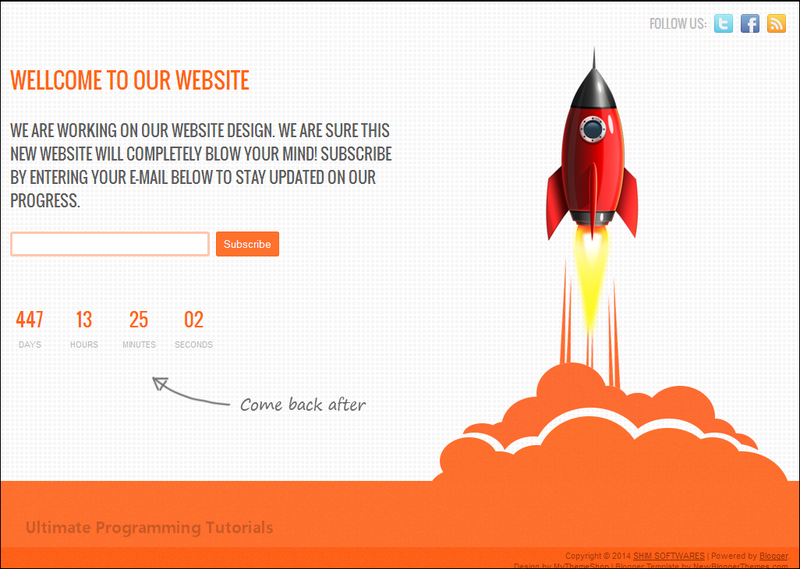 you can set the construction time so the time will keep running and then you have twitter, facebook and RSS buttons where you can just link your social links and finally we have a Feedburner subscription thing that you can use to let your feed subscribers know when you publish your new design. 1. Go to Template > Edit HTML in your blogger. In that change the TargetDate value "04/19/2015 10:00 AM" to the date you gonna publish your new design(template). 4. Now finally we have to configure Feedburner(just search for Feedbuner). Promotional merchandise, as the name indicates, is an essential advertising instrument that can be used to expose your company, products or services to a wider audience. In addition to product exposure, using promotional merchandise, such as custom flash drive, helps in increasing your business’s brand awareness. By far, giving away promo product to prospects for free is one of the best and most effective marketing tools available today. Whether you are looking for a way to establish an advertising space or a tool that would keep you in touch of your past customers, giving away promo products like custom USB drives is a great way to build a profitable and lasting business. There are a lot of perks that can be obtained from giving away free promotional merchandise to consumers. One of the most obvious benefits of giving away free promo products is its can help introduce your business to a great number of new prospects. Basically, handing out these promo items will not just expose your brand to your local market, but it will help introduce your business to the internet markets as well. Since promotional products like custom USB drives are usually handy and transportable, a great part of your recipients will most likely carry these products wherever they go. If the recipient happens to be a traveler who frequently moves from one country to another, your services, products as well as business will get some exposure to some of the countries where he or she has gone by. Another benefit that can be derived from handing out free promotional stuff is that it can help you save a great deal of money from your marketing and advertising expenses. While media advertisements from magazines, televisions and radio would cost millions of dollars a year, a dozen of custom flash drives would only cost you twenty five dollars or even less. What’s more, you can get bargained deals for these items when you buy them in wholesale orders. So, if you are looking for an economical yet an effective way of promoting your business, make sure to consider giving away custom promo products for free. To make the most out of your advertising campaign, make sure to choose promo products that durable and long-lasting. Keep in mind that your advertising campaign will last for as long as your products remain functional and useful. Basically, giving them away during a tradeshow is just the beginning of what might be a very long advertising campaign. If your promo products are durable and long-lasting, your advertising campaign will last up to six years or even more. Give away promo products that can be used by the recipient on a daily basis. In this case, you can hand out functional and useful items like custom USB drives, pens, calendars, bag, and many more. As much as possible, avoid giving away candies, treats and other edible items. Always buy promo products from a reputable an established supplier like Save On Promotions. By doing so, not only will you get high-grade promo products, but you also get to save a lot of money from your promotional campaign. Jasmine is one of the reliable person in promoting products .If you are looking for attractive electronic gadgets then you can visit save on promotions. We have huge stock of components available for you. It’s not uncommon for business owners to occasionally take stock of the equipment currently in use around the office and plan a bit of an overhaul when and where needed. 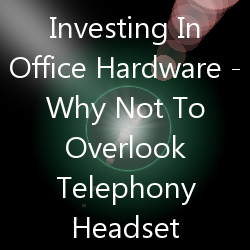 However, something that rarely fails to escape the attention of those concerned is the contingency of telephony hardware sitting around every desk and workspace. In essence the reason for this is pretty simple – something along the lines of the old ‘If it isn’t broken then don’t fix it’ way of thinking. After all, the standard analogue phone lines and devices themselves have been serving businesses faithfully for decades, so is there really any need to start replacing them all now? Well, you could argue whether the need exists as such, but when it comes to the business that really wants to keep itself ahead of the game, telephony is a very good place to start. 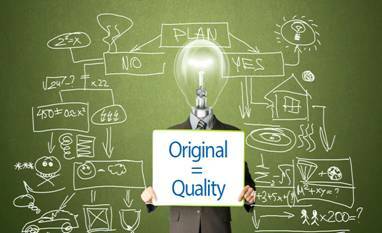 Across pretty much every business area the world over today, standards have never been higher and neither have the expectations of clients, customers and peer businesses alike. This of course includes communication which despite having shifted in many circles primarily to the internet still for most means the good old-fashioned telephone. So the phone still counts for a great deal, but what won’t be put up with by anyone these days is the unreliable, low quality or out-of-service telephone number. Likewise, high-rate calls are a thing of the past and so too are enormously irritating call-waiting systems. This is precisely why remaining with an outdated office phone system has the very real potential to leave any modern business trailing dangerously behind its rivals. It’s not a case of going OTT with the most cutting edge gear available, but rather one of responding to precisely what it is that people are expecting these days and not building a reputation for all the wrong reasons. In addition to the above, it might seem like staying with legacy telephone systems makes sense for the sake of simplicity, but in practice it can be anything but. Today’s cutting-edge internet phones make it child’s play to operate anything and everything you can possibly think of on the subject of office communications. From the simple corded phones to wireless headset accessories to large-scale conference calling and the most comprehensive caller-ID and recording systems ever devised, all of these features and more are as easy to use as a quick point and click via a computer program. The days of bashing buttons and wiggling wires to try and get telephones working properly are mercifully over. And here comes the real kicker of all – the most advanced digital and internet phones you can buy today are in fact 100% guaranteed to pay for themselves. Sure they cost most to buy than the cheapest legacy phones, but when you consider the gigantic savings made every day in every call made and service used, there’s really no comparing the two. So when the time comes once again to revamp the office, take a look at your phones consider the fact that you’ve already got the necessary internet connections installed and mull over how much better off you could be by making the switch. John Baron has been writing full-time for over 5 years. 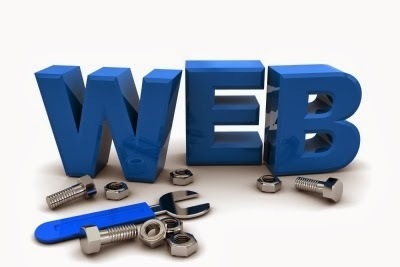 He regularly blogs about the Internet, tech gadgets and web development. John is also an animal rights activist and an active member of PETA. Follow him on Twitter @SEOquickrank to get the latest technology updates. From the moment man figured out how to move objects from one place to another, the world changed forever. Manual laborers armed with the tools to handle and transfer materials quickly and efficiently, soon transformed manufacturing and distribution---giving rise to whole new industries. Today, thanks to the power of automated material handling systems, a new transformation has occurred, allowing small and large businesses to thrive like never before. 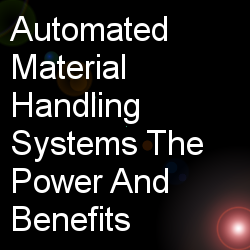 Here’s a look at some of the many benefits of automated material handling systems. Reduced labor costs – From handling raw materials during manufacturing to the handling and transportation of finished products to facilities for storage and distribution, the costs of manually handling materials can be considerable. Automated Material Handling Systems can dramatically reduce costs by minimizing manual handling or eliminating it altogether. Improved efficiency – Despite best efforts, the manual handling of materials has traditionally been plagued by inefficiencies, due to the human factor. In contrast, an Automated Handling System (AHS) maximizes efficiency by handling and delivering the correct materials and products---in the correct quantities to the desired location at the correct time---in the most economical manner. Reduced damage – One of the downsides of the manual handling of materials and products during all phases of production and distribution is that damage can often occur during storage and movement. Automated handling systems are designed to minimize damage through proper material handling systems. In addition, reduced damage can mean substantial savings. Reduced waste of space – Unlike the manual warehousing of materials--- which often results in less than optimal space utilization---automated handling systems are designed to make the most of every available inch of storage space, thus reducing both handling and storage costs. In addition, automated systems can also free up valuable floor space in production facilities. Reduced accidents – The human handling of materials carries inherent risks of accidents, such as slips, trips and falls. Not to mention the Cumulative Trauma Disorders that are the result of repetitive movements such as lifting and twisting. Along with exacting a human toll, accidents additionally result in lost productivity. By eliminating manual handling, automated systems minimize accidents while ensuring a safe and efficient flow of materials and products. In addition, automation typically allows for a cleaner more orderly environment than found in operations that are dependent on manual product movement. Increased scalability – As businesses grow and expand, one of the challenges they face is being able to expand operations in order to meet increased demand. Automated handling systems have the ability to scale up quickly and easily to meet new production needs---along with larger and heavier product units if required---without prolonged downtime for adding and retooling equipment. Real-time control – In order to better meet the often stringent demands of today’s customers---who typically want things “yesterday”---more and more facilities are turning to automation and computerization to give them complete system control in real-time. This type of flexibility allows for the accurate and fast fulfillment of all orders, the net result being better customer service, higher profits and a greater competitive advantage. David Glenn is a home improvement expert. He occasionally freelance writes about home security and DIY home repair. 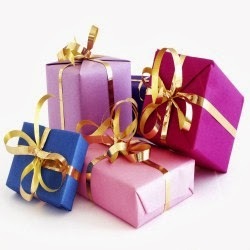 Are you looking to surprise your girlfriend by giving her an unexpected gift? Would you like to buy something special for your wife? Whether you are planning on buying a video game console or a brand-new mobile phone, this post will help you select the best technology present for your loved ones. If you are interested in purchasing one of the most powerful and innovative mobile phones on the market, the Nexus 5 is a great gift for every occasion. This smartphone has been designed by Google, making it one of the lightest and more refined devices ever manufactured, and while the Nexus 5 offers a wide variety of features, it is a much more affordable mobile phone than the Samsung Galaxy Note 3 or the Apple iPhone 5S. The Nexus 5 features a 5-inch display capable of offering a great image quality, but also an 8-megapixel rear camera that will allow your significant other to capture some of her most special moments. Last, but not least, thanks to Android 4.4, Nexus 5’s new operating system, she will also be able to download some of the most popular applications on her smartphone, such as Twitter or Instagram. There is always an occasion for buying a new gift, and what better present than one of the latest and most exciting devices on the market? While just some years ago consoles were only able to play video games, the brand-new Xbox One is capable of much more, including the ability to stream music or movies from the Internet. Thanks to its innovative user interface and its new operating system, you and your girlfriend will be able to use the Xbox One as a multimedia device, giving you the opportunity of using popular applications such as Skype or Internet Explorer from the comfort of your couch. Whether she would like to follow her favourite TV series or download the latest films, this video game console is compatible with some the most widely used streaming services, including Hulu or Netflix, something that will allow both of you to benefit from your hyperfast fibre optic internet connection. If you are looking for a convenient and light reading device, the Amazon Kindle is one of the best options available on the market. This gadget is able to provide hours and hours of reading with just a single charge thanks to its improved battery life. On top of that, she won’t have to worry about reading in bright sunlight thanks to the Kindle’s high-quality electronic ink screen, a unique technology that avoids glare while using your device. Additionally, Amazon offers a wide selection of books in its online store for her to download on the Amazon Kindle, allowing her to easily purchase books from her favourite authors. Moreover, it is also possible to download books in the public domain from the Amazon store, a very interesting option if she wants to enjoy classic books without having to spend any money. Sarah is a writer and blogger with a special interest in technology. She has little patience for things which are slow and so is constantly on the search for the latest technological developments. 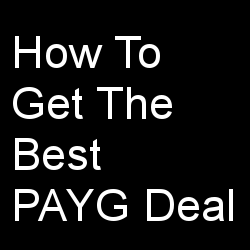 The key to a good PAYG tariff deal is to make sure that it matches your needs. Look at your old phone bills and find out how your phone activity is broken up, how much of the time do you spend calling, how many text messages do you send. This information will help you determine which kind of plan is best for you. If you're sending over 500 text messages a month, for example, it's probably a good idea to get a PAYG tariff that includes unlimited texting. Be warned, PAYG tariffs tend to work out as money savers only for those that plan to spend less than £25 a month. For users who regularly spend more, contract phones are still the best deal. 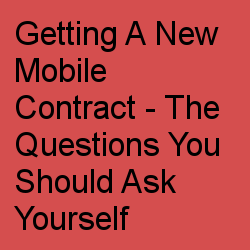 Not being tied down to a contract means that you don't have to spend money on your phone each month. However, it's a good idea to have a budget for the month that accurately reflects what credit you'll need. This is because a lot of PAYG tariffs offer special deals for customers who top up every month. For example, putting ten pounds of credit on your phone each month will get you unlimited internet. This decision should have two parts. First, find the operators who have plans that match your needs (they'll probably be more than one of them). Then ask around, ask your family and friends which operator they use. This is a good idea for a couple of reasons; firstly, because you'll get some recommendations, but also because many operators offer lower calling and texting prices to numbers in the same network. If you call your Mum every day, it might not be a bad idea to be on the same network as she is to get some savings for both of you. This can take some serious time, but it's definitely worth doing. Just because you already know which network you want doesn't mean that you need to go straight to their store. There are many online sources (such as Carphone Warehouse) that offer special deals on hand sets bought with PAYG tariffs. It may be that you end up back at your mobile service operator, but it doesn't hurt to take a look around and find out what's out there. Phil Turner is searching for the best pay as you go tariff available to him because he hardly uses his phone at all. If you are a freelancer then you have probably heard more than once that you need to establish yourself online if you want to succeed. If you haven’t ever thought about what the internet can really provide you with then here are some of the biggest reasons why you need to go online as a freelancer. 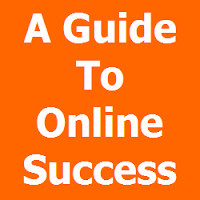 Of course the internet will open up many new doors to attract more clients. You can be instantly connected to people across the world and thus you can think about growing your business a lot quicker online. Many freelancers don’t need to be in the same physical location as their customers and thus you can really benefit from being on the internet. The internet is also great in providing freelancers with the same opportunities to market their business as the big companies have. For example, with the proper use of SEO on your website and social media platforms you will be able to increase the exposure you get without spending a fortune. If you only had to market through the conventional means like TV ads and newspaper ads you could probably not afford it. But on the internet even running video ads and promotional videos on platforms like Youtube is possible and really affordable. In order to attract more customers you need to be constantly developing your skills and the internet is an amazing place for making sure you have the knowledge you need. There are so many more opportunities to learn about your industry online and it is important to take advantage of these opportunities. Odesk provides a comprehensive list of the best websites that freelancers can use to improve their skillset and make the most out of the internet. You may notice that many of the options available are either free or very affordable and you would often end up paying a lot of money if you had to take these courses offline. You can also attend seminars online and thus don’t need to travel around the world in order to get the right skills. Make sure you stay on top of your field by going online and making use of the opportunities available. Being a freelancer isn’t easy and there are a lot of things that you need to learn to juggle at once on your own. But the great benefit of the current technology is that you have many more opportunities to ease your workload. For example, companies providing online accountancy are really affordable and can give freelancers a lot more time to focus on the more essential parts of the business. Friendly Accountants suggests that getting help with your finances can be a really cost effective way of improving your business prospects. There are also many great tools that make the above points of marketing and attracting customers online a lot easier. It is a good idea to browse through these tools and find out what are the ones that work the best with you. Marlene is enthusiastic in making sure freelancers are making the most of the internet and the technology available for them and she is constantly reading about new developments in the business field. She is a big ice-cream fan and could eat mint ice-cream all day long if her husband would allow it. Working for yourself is something so many people dream about and perhaps the best way to do this is by being a freelancer. Freelancers make money from doing something they love, in essence they make money from a hobby. Sound good to you? It sure sounds good to me (hence why I do this job). There is nothing better than waking up on a new day and making the money you need to live by doing something that you enjoy. We live in the internet age and the internet is starting to dominate the freelancing profession, there are so many different platforms online and they are the best place for any freelancer to get noticed. If you are a freelancer or a budding freelancer it is so important to have an online presence, so many potential employers look to the internet to find the experts they need. If you are any good and you can present your profile in an engaging way then there is a really good chance you will get the client base you need for long term success. There are so many different online platforms available now for freelancers to showcase what they can do. We live in the internet age as I have mentioned previously and it is therefore essential that freelancers make use of the World Wide Web. It is by far and away the simplest way for an online expert to get what they can offer across to potential employers in the quickest time possible. Take a look at Enthuse, they are a company that offer freelancers a blank canvas online from which they can upload their portfolio. The greatest benefit of this is the freedom to upload whatever you like, whether you are going to upload everything you have ever done or just a small selection (something I think is best) the option is there. Just do a little bit of research and ensure that you are willing to spend some time checking out what they best companies are. They are extremely efficient, like anything to do with the internet. You can upload your documents and files online with the greatest of ease, make sure that there are no problems with spelling and grammar and ensure also that if there is any video it is editing in a professional manner. 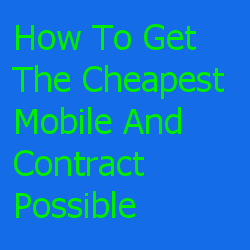 Going about your freelancing career in this manner is extremely cheap, these platforms cost very little or nothing to set up and thus any money you make can be yours. If you are a credible freelance worker then uploading a strong portfolio on these websites really can help you get noticed. Building a strong client base is essential and if you can do that then the chance of building up further is there. We live in a world that is dominated with poor freelance workers, it is an unreliable industry and if you can showcase yourself as the opposite to that then you can be in for a potentially lucrative career. Tom is a writer who loves to write about the technological developments that have occurred in recent years. He initially began working as a journalist for a local newspaper however soon started working freelance. Healthcare delivery is practically unrecognizable when compared to its former self from a few decades ago. Today, technology is making it possible to deliver healthcare services even when the provider isn’t in the same zip code with the patient. Today’s patients can also provide more of their own care from the comfort of their own homes, handling treatments and performing tests that at one time required an inpatient hospital stay. 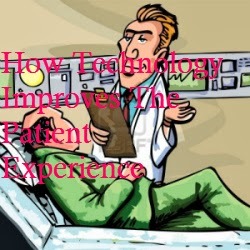 There’s no question that technology is making a big impact on the patient experience in a positive way. The ability to provide healthcare consultations remotely is a major benefit for elderly and disabled patients who struggle getting to a physical office location. For this reason, technology is essentially improving compliance – while some patients would have skipped visits and therefore missed life-sustaining treatments and medications, they’re now more likely to receive the consistent monitoring required to adequately manage a chronic or life-threatening condition. It’s not just the elderly and disabled that benefit from technology, however. Even patients who simply need a prescription for an antibiotic have avoided making an appointment with a provider, knowing that they’re giving up an entire day of valuable time thanks to a long wait to see their providers. Now patients can simply email some healthcare providers, explain their symptoms and have a prescription electronically submitted to their preferred pharmacy – no driving to the physical office necessary to pick up a written prescription. Even better, those same patients could go as far as having the prescription delivered by the pharmacy to the front door. Technology has finally entered an era where nearly the entire sequence of events involved with a single healthcare interaction can be conducted without a physical office visit. All of the above means that patients now have the ability to be more compliant, with fewer reasons to skip medications or avoid proper monitoring for a chronic condition. Many patients cope with chronic illnesses and fail to take their medication as prescribed simply because it’s too difficult to get to the doctor’s office. When office visits aren’t regular, providers can miss out on important signs that indicate that a patient is no longer responding to a specific treatment or requires a higher or modified dose of a medication. There are many things that could go wrong when patients take their healthcare into their own hands. Some go so far as to adjust medication dosages on their own to compensate for increased symptoms or to make a prescription last longer – avoiding more office visits and costly co-pays. But when patients can simply email a provider a status report including vital signs and other test results and readings obtained at home, they can often make informed decisions that are in the patient’s best interests – completely virtually. When patients are more compliant and more conscientious about following physicians’ recommendations, they experience fewer complications – and that means less costly hospital stays due to infections left untreated or necessary medications that haven’t been taken properly. But technology also reduces costly hospital admissions in another way. With sophisticated technology available for medical devices that makes controlling the complex underlying processes of the device using simple, intuitive controls, patients are now able to do themselves at home what once required an office visit or even an inpatient hospital stay. This type of technology, such as Pannam imaging switches, creates a simple user interface that patients can readily learn and use to ensure accurate delivery of treatments and tests – even without the presence of a medical practitioner. There are still some treatments that require in-person coordination and care, because of the possibility of serious side effects and the need of a trained professional to closely monitor the administration or treatment, but there are more and more treatments and tests that can be conducted entirely by the patient or caregiver at home every day. Technology is a critical component of healthcare delivery. With new advancements every day, healthcare in the future could be even more remote and independent than ever imagined. Just when you thought that powerful megaphones were only being used as crowd control during times of emergency comes the news that Ryan Seacrest used such a megaphone to exhort 10,000 aspiring American Idols to sing in a huge arena. 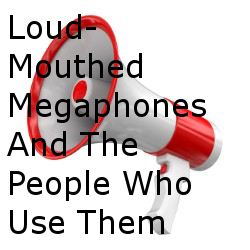 Ryan Seacrest is not alone – Cyndi Lauper and Kristie Alley have also used such megaphones to good effect. So, why do celebrities use megaphones? This is probably the shortest and simplest answer you will ever get to such a complex question – because they don’t want to blow their dollars on expensive sound systems. What’s The Big Deal About Such Powerful Announcement Devices? U.S. Army – by commanding officers to instruct and control troops that are spread across a rather large area. U.S. Marines and navy – their applications are similar to the U.S. Army’s. NASA – nope, NASA does not use bullhorns on the moon or Mars! But they do use such devices during rocket launches and other events that require coordination across a vast expanse of land. Churches use powerful megaphones to address large crowds, especially at fundraising events. Dictatorial movie directors who love the sound of their own voice can also use them. Some megaphone companies manufacture ultra loud devices for crowd control applications, which are fondly referred to as “earthquake makers.” These beauties can clear entire streets and smash window glasses in minutes. My advice to you is not to go near one when it is being used. If you are using one, use it with care and sensitivity. What Are The Key Features Of Loud-Mouthed Bullhorns? These devices amplify sound like no other. Don’t believe me? Stand next to one while an announcement is being made and watch how you go stone-deaf in seconds! Or, at least suffer from tinnitus. But you may be spared of deafness if the announcer saw you and toned down the volume control, which manufacturers graciously build into each device. These devices are tough. You can treat them real rough and they will take it with a smile. Go ahead: your persistent screaming into them won’t matter. Powerful bullhorns at the minimum power rating can throw the voice to about 700 yards. As the power ratings inch higher, so does the amplification area. When ancient man conceptualized bullhorns, the idea was to make music and perhaps to make the device work as a Paleolithic long distance telephone. Then population increased and the ancient device was deployed to warn people about impending danger. (Dinosaurs ahoy!) One thing led to another, and you already are familiar with what these devices are capable of these days. Technology will continue to keep changing the way these work and who knows, one day we may be working with mega-powerful megaphones that are no more than 12 inches in length. Robert R. Thomas lives in Marlin, TX, with his family. He is a blogger, entrepreneur and a gadget enthusiast. 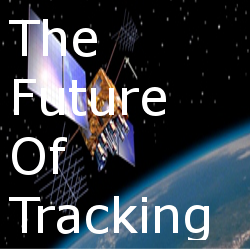 As the use of GPS tracking gets less expensive the possibilities for its use become too many to even list. But we’re gonna try anyway! Just imagine a tracking unit on anything expensive, well we have that now actually. But it gets a little difficult to track things that are only slightly expensive. For example liquor bottles at a bar, now if you get down to it they are relatively inexpensive to purchase, especially for a bar. They buy in such volume that an average bottle of rum like Captain Morgan will probably cost them $13 or $14 (probably even less). But if they are able to pour 40 or 50 shots of rum from one bottle at $4.50 a shot, that $13 bottle is now worth $225! Now take that across the board, or bar in this case, and you have a lot of money in liquor. If you are able to track those bottles and the number of times they are turned over to be poured what would the value of that be? Imagine a bar being able to count the number of time a bottles is poured from, compare that to the night’s receipts and bam, you now know if anyone is skimming off the top! Staying on the bar and restaurant theme think about the equipment onsite. Large refrigerators and dish washing equipment can run into the tens of thousands of dollars. If you are able to link these machines to a tracking app you can measure the amount of cycles they run through in any given time period. Compare that to the maintenance on these units and owners can see how efficient their equipment really is operating, ort how they can operate more efficiently. I’ve always thought the pad lock was a good idea but if you put that pad lock onto a small object that was easily removed from its location then what was the point? Imagine a small tracker in a pad lock, not only can it tells you if it’s been moved, but it can tell you if it’s been tampered with or even if and when it was unlocked. I can think of a lot of applications for a device like this. A commercial company that has equipment in the field that is locked up well out of the sight of people would love to have a tool like this. What if you went on holiday for a few weeks and left your new grill locked up on the patio. Will it be there when you get back? If it is not then just track the lock and see if it’s still with the grill. We have the ability to find and track our mobile devices now. They in fact use more than just GPS actually; these devices that are cellular devices can use triangulation from cell towers to find their location. While it’s not as accurate GPS it does work well. How about putting this technology into items like watches or your wallet? Well I’m sure you wouldn’t be surprised to know this is already happening. There are many different products on the market that can track your wallet or purse for you now. Technology has come a long way and it’s only going to get better, smaller and less expensive. We can look forward to saving a lot of time and money in everything we do, simply because of technology! Josh Schied, the author of this article and the owner of GPS Tracker App blog, is a passionate technology writer. He likes to blog about everything that is GPS and navigation related. Get in touch with Josh on Facebook. 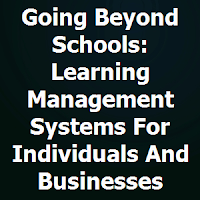 Learning management systems (LMSs) are being used in online education and integrated into blended learning environments more and more every day. 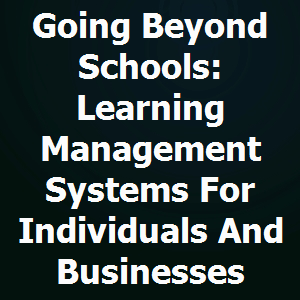 In the education sector, the advantages of using an LMS are numerous and well known: they provide a centralized space for all of a course’s materials, resources, and activities; students can access the course materials at any time and using various devices; students can collaborate with each other, submit assignments, and receive feedback; instructors can track students’ progress and identify when additional support is needed; and so on. In the past LMSs could cost $50,000 to $100,000 or more, which made using them cost-prohibitive for all but the largest and most well-funded universities and organizations. Now, however, that trend is changing. A host of new cloud-based LMS software packages are available, some free and others on a low-cost subscription basis. With the costs under control, small organizations and even individuals can use LMSs to deliver courses and training programs online. Cost savings. This is the number one reason many organizations move from traditional instructor-led training (ILT) to eLearning. Putting programs online saves money associated with travelling to deliver or receive training. In today’s climate, as many companies continue to decrease their learning and development (L&D) budgets, saving money while continuing to deliver high-quality training is essential. Ease of use. In addition to having high upfront costs, LMSs of the past also required a good deal of work just to update and maintain. Organizations would need to hire in-house technicians or purchase an additional service package from the LMS vendor. In addition, they were very technically demanding to use, practically requiring a degree in computer programming just to operate. This is no longer true—today’s LMSs are very user-friendly, as are eLearning authoring tools in general, and anyone with basic computer literacy can design and publish a course online. Analytics. Recently, big data has become all the rage in pretty much every sector of business and society. LMSs allow organizations to collect their own L&D big data, as all aspects of training can be tracked, including employee engagement with training materials, progress through courses, and success on assessments. Informal learning. In business environments, informal learning, such as peer-to-peer learning and self-paced independent learning, is estimated to account for up to 70 percent of learning. That is a huge percentage, considering informal learning is not often accounted for in formal training programs. 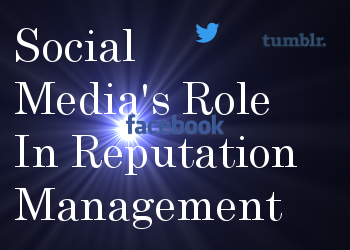 LMSs with social media integration, such as spaces for employees to discuss content and collaborate on projects, offer ways for instructors to monitor and assess informal as well as formal learning. Elearning for large businesses has been around a long time, and eLearning for small businesses is expanding, but now individuals not associated with either schools or businesses are starting to get into the action. Recently, there has been a trend toward a new form of democratization—massive open online courses (MOOCs) have allowed anyone to become a student, and now low-cost, user-friendly eLearning development tools and online LMS software are allowing anyone to become a teacher. The DIY (do-it-yourself) movement and the popularity of peer-to-peer learning are turning subject matter experts everywhere into online instructors, and many websites allow individual users to create, and even sell, their courses online. Education is no longer something that takes place solely in schools. People everywhere are demanding access to educational resources and materials, and a new wave of online learning management system software is working to respond to their needs. Sameer Bhatia is founder & CEO of ProProfs.com which is a leading provider of online learning tools for building, testing, and applying knowledge.Sameer has a background in technology with a Masters in Computer Science from USC (University Of Southern California) and is an ed-tech industry veteran. You can find Sameer on Google+ .